Barbara Bry changes her mind about city employee pensions. The mayor roasts city leaders, and us. When San Diego City Councilwoman Barbara Bry announced her run for mayor, she surprised some by invoking the city’s pension crisis. “In the past, San Diego city leaders made fiscally irresponsible decisions, such as mismanaging the city’s pension plan, which have drained our city’s budget and undercut the city’s ability to provide neighborhood facilities and services,” she wrote in an email. It was a not-subtle dig at Rep. Scott Peters, who was set to be a major rival to Bry for the mayor’s race. He was on the City Council when it made the notorious decision to both enhance city employee pensions and cut city contributions to the pension fund. Peters decided against running for mayor. 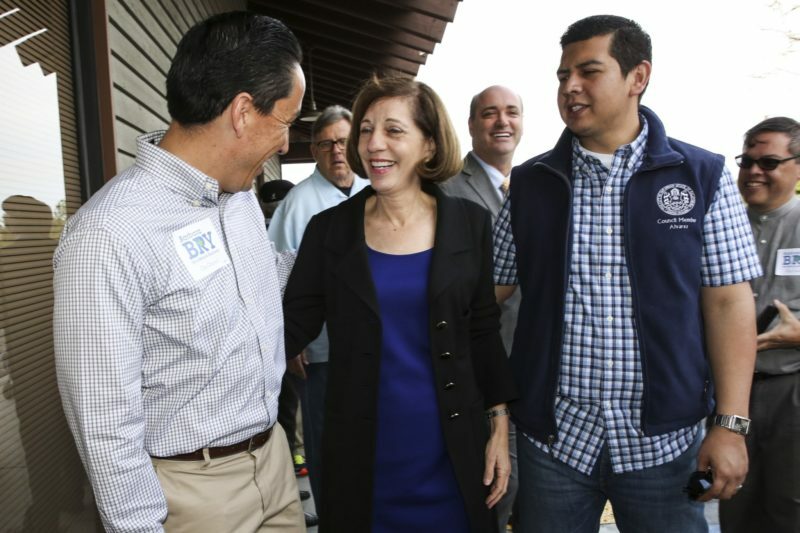 In her race for City Council in 2016, Bry cast herself as an ardent supporter of Proposition B, the 2012 measure that ended guaranteed pensions for future city employees. When challenged, Bry insisted relentlessly that she supported the measure and would never waver. Should it ever be determined to be illegally implemented, she told the U-T, the city should try it again. “The next thing we could do is pass something similar to Proposition B and go about it the right way,” she said. Things change: The California Supreme Court later ruled that Proposition B was illegally pushed onto the ballot by former Mayor Jerry Sanders. This week, the Court of Appeal refused to remove that law from the City Charter. The city can try to resist legal moves now to remove the measure from city law or help pave the way for that to happen. Supporters of the measure, though, could still fight on their own. In an interview, she said the rulings left the city in limbo. It’s time to stop fighting for Proposition B. Things change a lot: Bry also said that she had now moved away from her support of Proposition B. “In 2012 we passed Proposition B, we thought other cities would pass something similar. They did not. Now we are at a competitive disadvantage in recruiting and retaining employees,” she said. The pension system needs to be brought back to life for city employees, she said. “I would like to go into meet and confer and reach an agreement on what an appropriate level of pensions is for our city,” Bry said. The annual Downtown Partnership Installation Dinner has become known as the event where the sitting mayor roasts a bunch of the city’s leaders. The partnership has been doing Kevin Faulconer bobbleheads for several years now. We had one in the office but the head came off, so now it’s just a head with nothing to bobble on. Anyway, this year, the mayor started the speech with a dig at Scott and the partnership’s CEO, Betsy Brennan. Let’s all give a round of applause for Betsy, who just marked her one-year anniversary at the partnership. It’s hard to run after a gin and tonic. But to be honest, I started to question Betsy’s judgement just a little bit when she invited Scott Lewis from Voice of San Diego to host the Alonzo Awards a couple months ago. Man … that was a buzz kill! A room full of people. thinking they’re here for the KevTalk. And they got that. People were coming up to me all night like, is this the KevTalk? Is this the KevTalk? Scott Lewis, you were awful. At least on your podcast, people can fast-forward. Context: Scott emceed the Alonzo Awards in October and made two or three jokes about the mayor’s stumbles. It was fine. Some people thought it was good. Some people did not. Other people were clearly not listening. A lot of people were talking and not paying attention. So many people weren’t listening, it was awful. Scott’s response: Any time people are talking about me, I am happy. Scott’s response, part two: We now support Airbnb because it helped us book this great space in the mayor’s head. The mayor’s choicest digs: Here are some of the roastiest moments of the mayor’s roast. Tidbits: Scott Sherman for Mayor? Staffers at San Diego City Hall joke that you can’t get into an elevator with Councilman Scott Sherman without him telling you exactly how many days he has left in office. He has told us and anyone who will listen, many times, how excited he is to get out of political office. Except maybe not? In his roast, the mayor said the Shermanator was considering running for mayor. Turns out, that may not have been much of a joke. Rumors have it the councilman appears to be aware it would be a tough haul but he is interested in making some points on the wide platform the race provides. Chula Vista voters have been especially willing to increase taxes lately. In each of the last two election cycles, they’ve approved measures to raise sales taxes to help fund city government. But those decisions could now be a weakness for the Metropolitan Transit System’s attempt to pass its own sales tax measure in 2020 aimed at improving transit in the region. Some details on MTS’s polling: MTS has touted its poll showing roughly 70 percent of voters supporting a hypothetical sales tax for transit. Passage requires 66.7 percent voter support. But when agency staff detailed the poll results to its board, they mentioned that support for the measure was softer in Chula Vista. In San Diego, 75 percent of voters said they’re on board. In Chula Vista, that number was just 64 percent. “This might be because of some fatigue with sales tax measures, but we’ll definitely want to tease that out in the next round of focus groups and surveys,” said MTS Chief of Staff Sharon Cooney. In 2016, on the same ballot in which county voters rejected a transportation-focused sales tax from SANDAG, Chula Vista voters approved a half-cent sales tax for infrastructure. Last year, they approved another half-cent tax, this time for police and fire personnel. The latter tax increased the sales-tax rate in the city to 8.75 percent, tied for highest in the county with neighboring National City. City Attorney Mara Elliott and state Sen. Ben Hueso have abandoned their attempt to weaken the California Public Records Act by making it significantly harder to collect attorney’s fees from public agencies that failed to turn over public records. After weeks of public backlash, they dropped the fight. Now, the city is getting sued for failing to turn over records related to the discussions that led to that legislation. If they lose, they could be forced to pay attorney’s fees for failing to do so. Mayoral candidate Cory Briggs filed a lawsuit against the city last week, after asking in late February for records related to SB 615, the bill Hueso introduced and that Elliott sponsored. Briggs alleges in his lawsuit that the city failed to provide all the public records it should have handed over based on his request. One other thing the Elliott-Hueso bill would have done is force people who request records from an agency and the agency itself to meet and negotiate before someone could bring a lawsuit. That sort of meeting is already quite common, both in routine records requests and in requests that result in a lawsuit. But that didn’t happen here, Briggs argues. 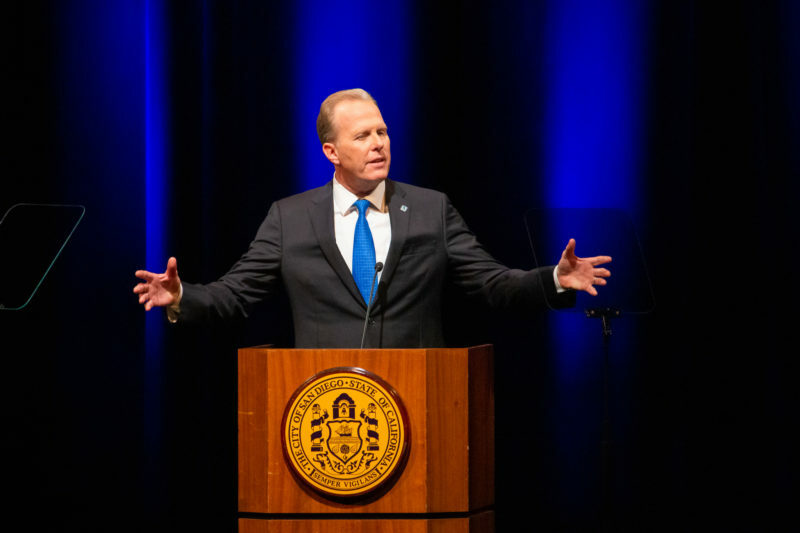 “City did nothing to assist (San Diegans for Open Government) in submitting a focused and effective request that would enable it to obtain those responsive records that are exempt from disclosure,” his lawsuit reads. If you have any feedback or ideas for the Politics Report, send them to scott.lewis@voiceofsandiego.org or andrew.keatts@voiceofsandiego.org.